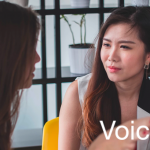 Finding your voice is a challenge that everyone in a leadership or management role needs to meet. It’s a challenge because it needs to be your voice; it needs to be true to you and your values and personality or it won’t convince others. It’s also a challenge because it needs to be different; your voice needs to be distinct and additive, if it to bring value to the team. NT found himself facing this challenge. NT quickly proved himself to be a good team player. He was diligent and reliable; he had a positive attitude; he was always willing to make himself available to provide support and help. He was a patient and courteous listener, who engaged well with colleagues, clients and outsiders. He seemed able to absorb situations maturely, calmly and accurately in a way which made him a useful conduit for information. Everyone felt comfortable talking to him. He was liked and trusted by all. The only problem was that it was difficult to get him to share his own thoughts and views. He was slow to speak up. This would have mattered less for someone in a more junior role, but he was the business’ Deputy Projects Manager. His own manager and his other senior colleagues found him too polite and deferential. They needed him to be more vocal, to contribute his thoughts without always having to be pressed to do so. They could not understand why he seemed to find it so difficult to be assertive. Happily, NT had the good fortune to have a manager who believed in coaching and was willing to invest in it and in personal and team development for his people. NT completed a VoicePrint self-perception questionnaire and then explored the results with a coach. 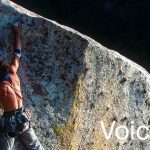 You don’t have to be talkative and outgoing to get value from completing a VoicePrint profile. It does more than indicate where your verbal energies are going and how you might direct them to best effect. It also provides clues about another issue which typically lies below the level of our conscious attention: it shows the pattern of an individual’s self-talk. It is this inner conversation which shapes the way we engage with our world and its challenges, whether these come in the form of problems, opportunities or people. Individually, we each have a distinctive pattern of self-talk. 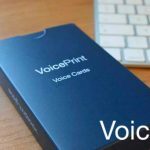 That’s one reason why the profile is called a VoicePrint – it’s as personal as a fingerprint. NT’s profile confirmed that he relied heavily on the voice of Inquiry. He liked to listen. It was his preferred starting point. It was also what led people to find him so engaging; he inquired about what mattered to others; he gave them his attention and took the time to discover their concerns. But it was where he and his inner dialogue went after that which really shaped his overall approach and impact. Having inquired, his attention shifted to the Critique voice and he used this voice significantly more than most people do. It’s the focal point in his VoicePrint profile. He listens, evaluates, then probes further to refine his assessment. It’s a pattern which makes him not only good at understanding people’s concerns and problems, but also good at making them feel heard and understood. NT’s difficulties start when this same pattern goes into a second cycle, focused not on others but on himself. 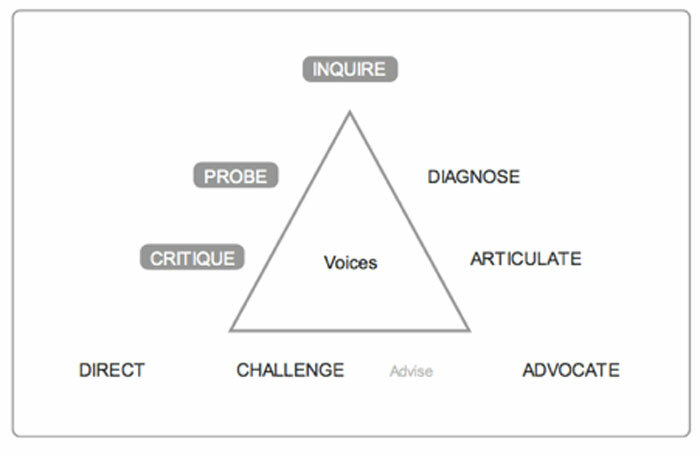 ‘In the first cycle I use these voices for problem definition. But then I go into a second cycle and it’s aimed at myself, because I tend to push myself down. I ask myself, Will this be right? Will it help the conversation? Will I be wasting people’s time?’ In his inner dialogue NT was getting stuck in a pattern of self-questioning and self-doubt, which left him inhibited by an unduly self-critical voice. NT’s case looks as if it’s going to have a happy ending, but it has required effort and perseverance to get there. Sometimes all that is needed to overcome a problem is to see something that you have not previously seen, to realise something you have not previously appreciated; the corrective behaviour is then plain to see and easily adopted. That wasn’t the case here, and is seldom the case when a deep-rooted and excessively critical self-belief is involved. But without a diagnostic that can help to identify the root of the issue, it becomes impossible for development or progress even to begin. Identifying and enabling relevant first steps can therefore be the crucial intervention, the turning point. Several people have contributed to the process of building on that initial turning point in order to transform it into a successful outcome. NT himself has contributed by applying his new self-awareness about what was, literally, holding him back. He still feels the self-doubt, but he now actively exerts himself to overcome it. He uses his natural diligence and sense of duty to persevere in his efforts to overcome his tendency to be too self-effacing. NT’s manager has helped him by re-focusing NT’s role to capitalise on his awareness and relational skills and by then identifying the specific voices that he needs to add to his repertoire to bring most value to this role. NT needed to build on and go beyond his capacity to listen, diagnose and understand. He needed to acquire and develop the voices of advocacy and advice, trusting in his own ability to form opinions and offer suggestions, in order to contribute more actively to the development and deployment of solutions. NT’s senior colleagues have helped him too. Whether by patiently and generously containing their own frustrations with his hesitancy, or by actively encouraging him to be more assertive, or by clarifying what they would like from him at particular moments, they have provided a collegial environment which has nurtured his growing self-confidence and reinforced his progress. 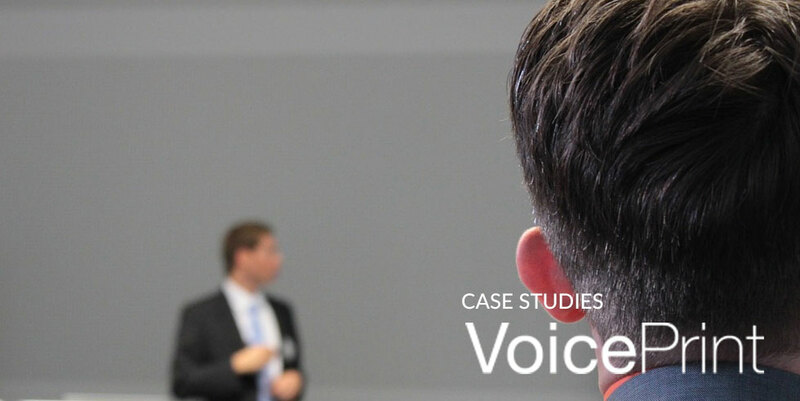 VoicePrint has helped all concerned by giving them a model of the different voices that are required to be able to work together productively and an understanding of when and how to use these voices in practice.